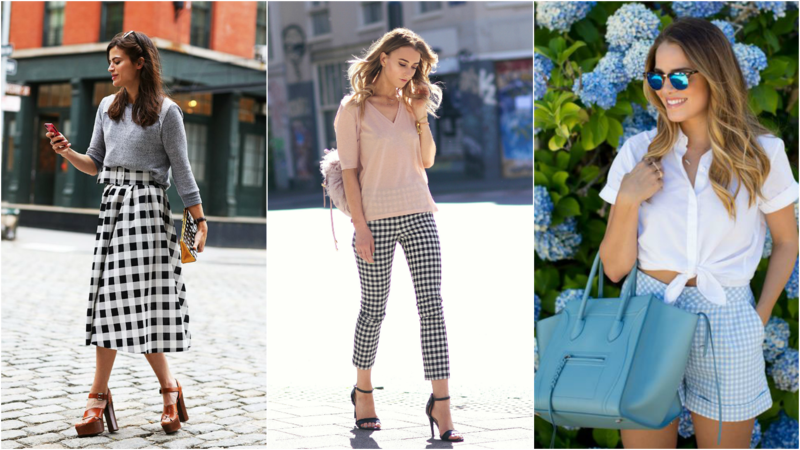 Gingham is coming in hot this season, and it has been crowned the cool girl's print. Despite being usually associated with a youthful vibe, this warm-weather style has most certainly grown up for spring. Designers like Victoria Beckham, Wes Gordon and Marni, to name a few, all showcased pieces in this print on the runway in a multitude of fabrics, colours and clothing options, and it is currently proving to be increasingly popular. What is gingham though, I hear you asking me. Gingham is usually a lightweight fabric, checked in white and a bold colour. It is really very similar to plaid, and being a huge fan of plaid myself, I am loving this latest trend. Long are the days where the gingham print was only seen on school girls outfits, picnic blankets or men's button-down shirts. Trust me, there are so many more options for this print than a boring blanket. Spring/summer is the time to get creative and wear things that are fun and in new ways. Need some inspiration on how to pull this trend off? I know I do! Check out these gorgeous outfits below. Things can't get any simpler than wearing the print in a dress! It looks fashionable and just screams summer. The print works for both more casual and dressy looks, and if you aren't too sure just yet, keep the rest of the outfit in a neutral palette to make your gingham piece pop. Dark blues and monochrome shades work well for a more mature take on this trend. Similarly, you can stick to comfort and pair a shirt with a nice pair of distressed denim, in any shade really. A leather jacket adds warmth on those chilly spring days (London seems to have lots of those) and toughens it up just the right amount! And if being bold is your thing, I love the middle look above, all gingham! Mixing gingham with another pattern or print can totally work too, the only thing to remember is to stick to the same colour scheme. Thoughts on the print? Let me know below! *Images Source. All collages created by me. Love it and love the examples you've chosen. I don't have anything gingham but it is a really cool print. Não me importava nada que esses looks fossem meus! Gingham is such a cute print! I would definitely find it easiest to wear in a shirt but I love the other clothing items too! I love gingham in spring/summer <3 It has a beautiful countryside vibe to it!! 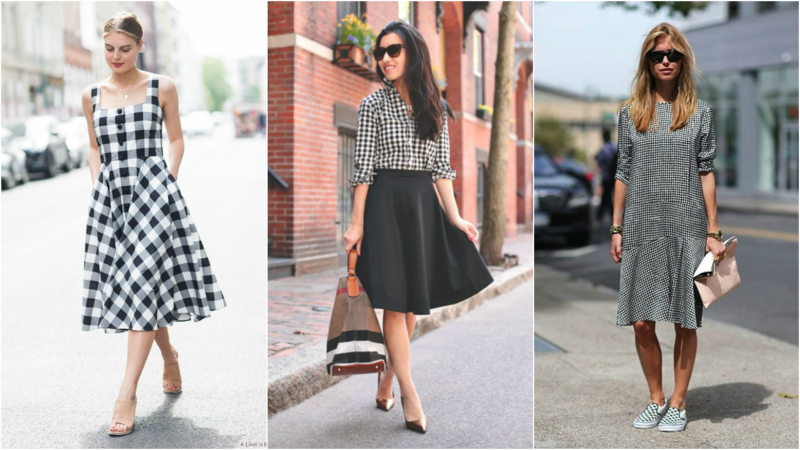 I love this trend and look forward to adding some gingham pieces to my arsenal. Great picks!! It is one of the prints I really enjoy, even though I don't own one thing in it. Love the post and the outfits you've picked. Pattern pantslook amazing! I have a short gingham flare skirt which frankly, I didn't know it was gingham until recently. I had it for like 5 years already. LMAO! I do need to add more of it in my wardrobe though, they are very chic. Pam, would you remind your mamma of the famous gingham shirts worn by Brigitte Bardot... ? I love this print, it's so cute! I love the look it creates! Gingham is so girly! I love gingham print with yellow or pink colors. Although, I have yet to see any in stores around here, but as soon as I do, I will be purchasing some. Omg I love the gingham trend so much! I could live in that black and white gingham dress and those blue shorts all summer! I like the print :) Would totally get it in a coat like in that last photo. Also, I love that blue gingham co-ord!! Love all the fashions! 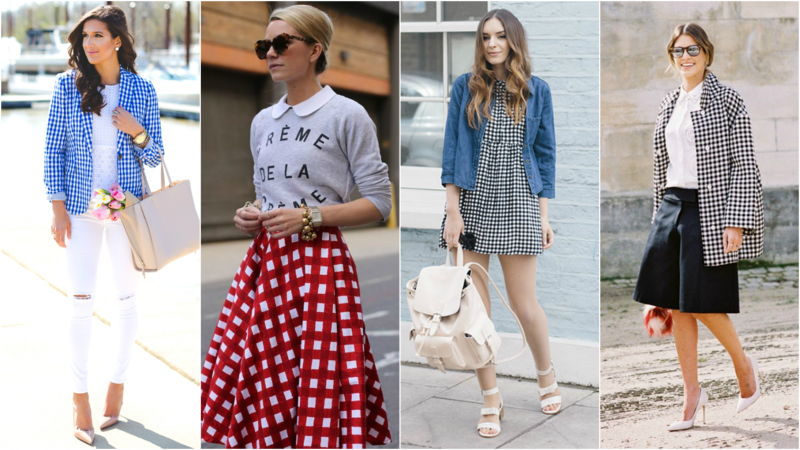 The girls in gingham, the cute summer styles. I love it the Gingham special in blouses! Wow I love this print! I especially like the black and white one in the first out of the three in the second collage! I love shirt. That look more ideal. A beautiful kiss and invite you to visit my blog. I've loved the photos are great. I really like the outfit of pants. A lovely kiss and invite you to learn my blog.